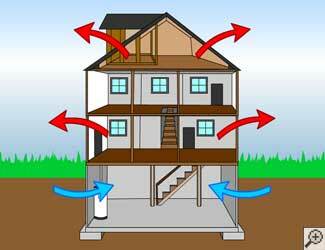 One major culprit for humidity in your home is a phenomenon called the "stack effect." 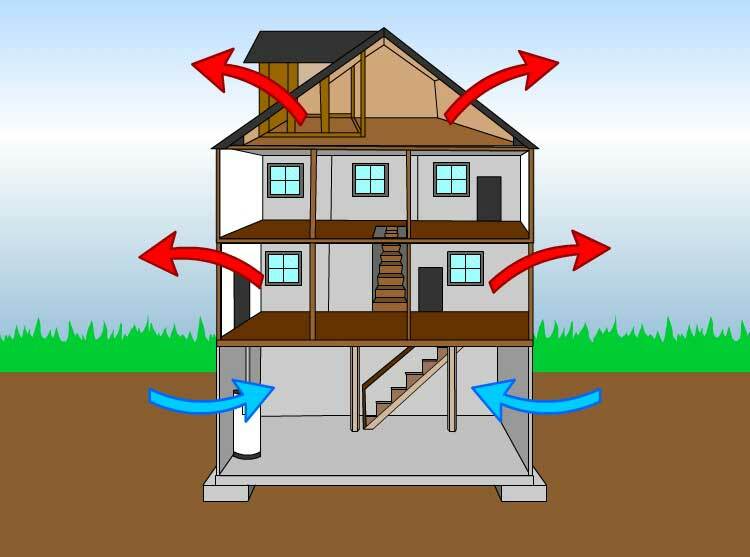 The stack effect refers to the process in which hot air leaves the home through your attic and upper levels. As it does, a vacuum is created below, and new air is pulled upwards through the basement, crawl space, and lower levels. For a free humidity control quote in Chatham, London, Sarnia, Windsor, Stratford, Windsor , Leamington, St Thomas, Amherstburg, Strathroy, Essex, Ingersoll, Kingsville, Aylmer, Goderich, Hanover, Listowel and or nearby in Ontario, call or e-mail us today! 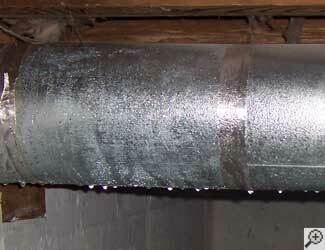 mould needs moisture to survive, and it draws this humidity from the air around it. As the relative humidity in your basement or crawl space rises to 60% or higher, mould will live, thrive, and survive in the space. As mould reproduces, it releases millions of allergenic mould spores into the air. Time Magazine reports that there can be hundreds of thousands of mould spores in a single cubic meter of air, and a person inhales 10-12 cubic meters of air each day. Because of the stack effect, these mould spores will not be confined to your basement or crawl space. As air moves upwards from these spaces into your home, it will bring mould spores and humidity along with it. If you notice that you suffer from symptoms such as a runny nose, watery eyes, mild allergic reactions, a scratchy throat, fatigue, or headaches at home that seem to disappear once you leave the building, mould allergens may be the culprit. Of course, mould and rot will also wreak havoc on your home. 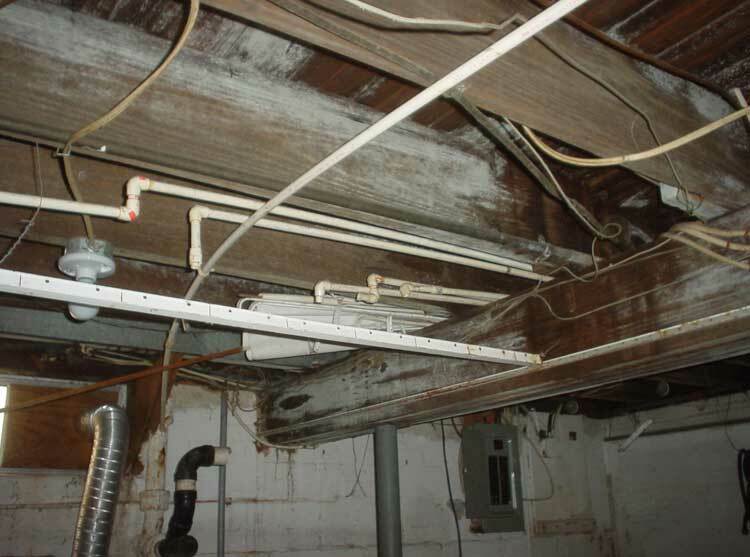 Damaged wood, structural issues, and ruined personal property are all consequences of mould, mildew, rot & humidity in a basement or crawl space. 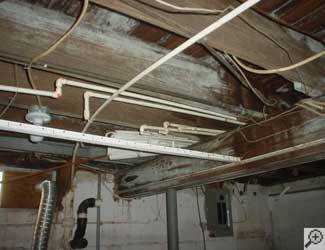 The key to controlling mould in your basement or crawl space is to eliminate the humidity that keeps it thriving. 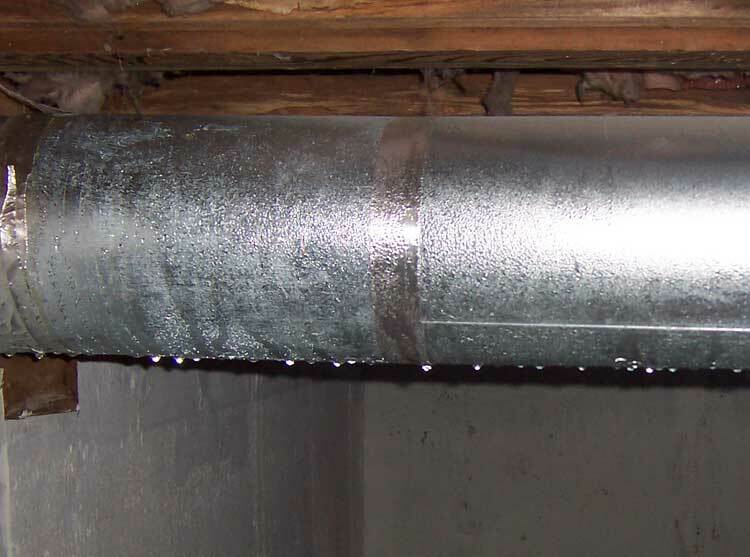 At Advanced Basement Systems we recommend starting by sealing off any vents, covering any exposed dirt and concrete, and installing airtight crawl space doors. 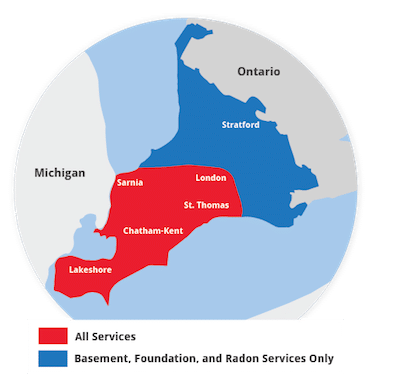 We offer free basement & crawl space humidity control estimates in Ontario, including Chatham, London, Sarnia, Windsor, Ingersoll, Kingsville, Aylmer, Goderich, Hanover, Listowel, Windsor, Stratford, St Thomas, Leamington, Essex, Amherstburg, Strathroy and many areas nearby. Contact us today to get started!